Example: In the children’s animated series, The Legend of Korra, the very last scene of the series was wasted on subtly implying a homosexual relationship between two of the main female characters. The problem (structurally speaking) is that nothing in the rest of the series even hinted at the possibility of this relationship. In fact, in the world in which the series takes place, there are no homosexual relationships at all. 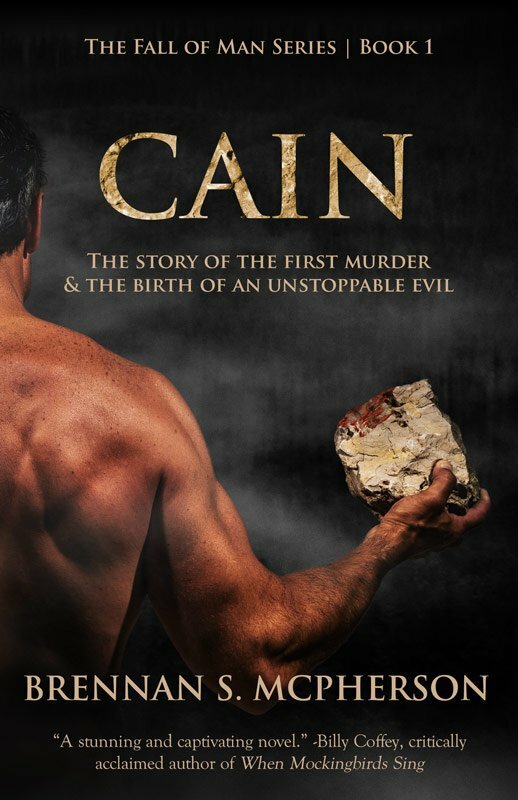 The plot twist was not evoked naturally from the story or the characters themselves. Instead, it was an imposed agenda. A series-ending political juke. The same thing happens in certain Christian stories when bad guys convert to Christianity far too easily, quickly, and conveniently. When a character’s actions do not evolve organically from who they are and from how they’re impacted by their environment and circumstances, the resulting falseness unravels the story. It gives us a glimpse of the proverbial wizard behind the curtain, and lets us know he’s not very good at pulling the right levers at the right times. But what if the story is abandoned in favor of a greater truth, such as God’s love for us? Doesn’t that justify the lack of internal consistency? A lack of internal consistency is the equivalent of story mold. And a feel-good message—even one that is true or powerful—in a moldy story is no more than a moldy story with a feel-good message. It may make you smile in the short term, but in the end it’s just bad for you—not to mention disgusting. I’ve had conversations with fellow Christians who seem to think that a depressing story is never better than a story that encourages you in your faith. That a dark, depressing story may even be morally evil. Yikes. I couldn’t disagree more, but rather than debate it, how about we examine the idea of a well-crafted dark story a little more closely? If a story’s main character is truly evil, and no intervening circumstances can conceivably change his or her character, then a bad ending would likely be the only option to avoid contracting story mold. We’d call that kind of main character an anti-hero, which is basically a character who resembles a villain. Anti-hero’s are pretty common these days in secular stories, but not at all common in books for a Christian audience. Stories with negative or depressing endings are generally disliked by Christian consumers, or viewed as being inferior to stories that end positively with an admirable main character. Still, stories with negative endings can represent powerful and important truths, such as the destructive repercussions of an evil lifestyle. Some of the stories Jesus shared, such as the rich man burning in hell, even have anti-heroes at their core, and end in a depressing way. But the market seems to indicate that the majority of Christian consumers care more about a positive message than about quality. In fact, many Christian consumers claim that entertainment without a positive message can’t be considered Christian at all. Because when we look at the Scriptures, the Psalmist seems to indicate that well-crafted art is a high honor, while poorly executed work is an embarrassment. Should we favor a happy ending even when it makes a story moldy? 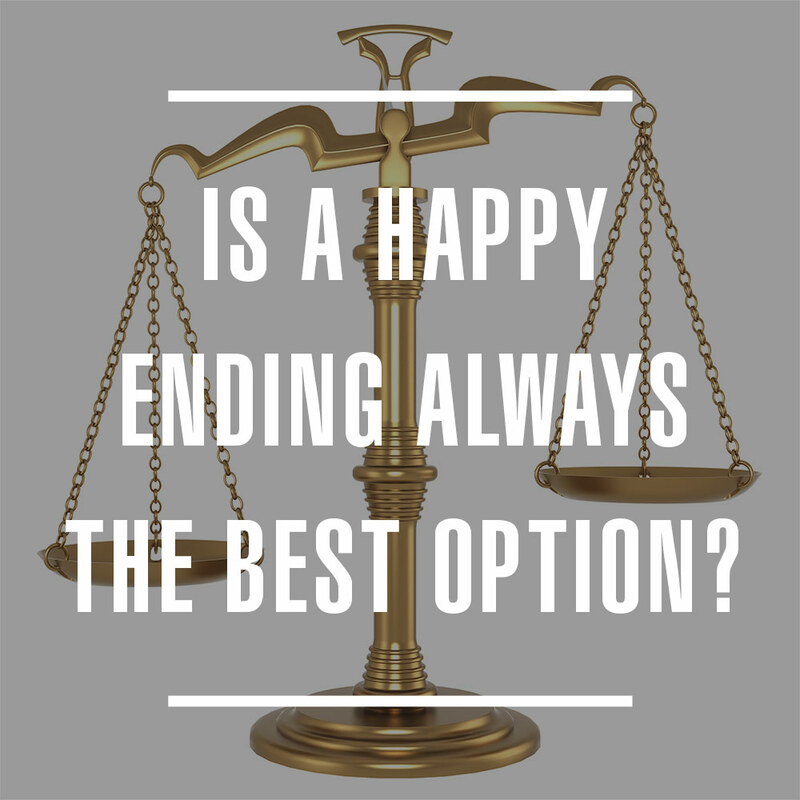 Or is a happy ending not always the best option? What do you think? I agree with you about not forcing a happy ending as well as the idea that a depressing finale isn’t necessarily sinful. Case in point: “Melmoth the Wanderer.” It is one of the darkest gothic novels ever written and, without spoiling anything, has an equally dark ending, but it was penned by a clergyman who used the book as a vehicle to (powerfully, in my humble opinion) communicate the same truth found in 1 Peter 5:10. As for your comment on quality, I think that’s a little more difficult to pin down. I think the author is responsible for creating the best story that they possibly can, but, because people have different levels of skill, two people trying just as hard to do the exact same thing might produce very different results, quality wise. One might be significantly better than the other in terms of quality, but (if each person did their absolute, and I mean ABSOLUTE, best) then I would say that both are honoring to God. Just my thoughts. Great post! That’s a great point, Eric! Certainly we don’t have to perform to some objective level to honor God–I should have said “consumers care more about a positive message instead of objective artistic quality.” Honoring God comes down to love, and love, according to the book of James, is made real through action. Meaning that if we really love God, we will desire to honor him, and that desire will push us to do our best creative work. Even if our best is not very good, he’ll look on our work like a proud father looks on the lumpy sand castle his little son made.